When his world was stripped away, the club and his brothers were his only salvation. I’ve sworn my life and soul to the club. They took me in when violence and darkness ripped everything I loved away from me. I’ve spent so much of my life chasing vengeance, I never expected to step into the light. Then, one amazing woman...Ariel...shattered the walls I built around my heart. Her soul shines so bright I can almost start to believe in goodness again. It’s only a matter of time before the darkness rolls back in. This time, I’d rather die than let it drag Ariel down too. The price of loving me might be more than I’m willing to let her pay. She’s been warned about men like Chase and all the chaos they bring. Fixer uppers are my specialty. I can find the beauty in broken things and make them shine. I’m going to save the seedy North side of Port Azrael, Texas one house at a time. People may think the Dark Saints MC run this town but the mayhem that follows them is the last thing my neighborhood needs. But, all my preconceptions flew right out the window the day I met Chase Cutter. Underneath that rough exterior, hard muscles, and ink, I can see the beauty inside this broken man too. Everyone tells me he’s no good for me, but I just can’t walk away. 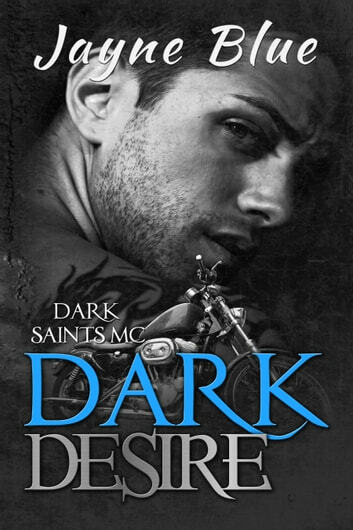 Another great add to the Dark Saints MC series. This is the story of Chase and Ariel relationship. Chase had some demons that he had to get rid of before he could really have a relationship of any worth with Ariel. Arie was definitely the right person to help Chase to over come his demons. It's amazing how you can get well and truly involved in a book that you don't Relies that the time has got away from you. I voluntarily reviewed an advance reader copy of this book. An ARC was given to me and I agreed to voluntarily review it. My opinions are my own. Walking into this place wasn't helping him. All he could think about was this is where everything fell apart in his young life. This is her place now and she is assessing it to figure out how she is going to flip it. Someone is putting holes in the very walls she is going to demolish. When the pretty lady with the sledge hammer stopped trying to cave his chest in, there was definitely instant attraction. This is a entertaining hot read. Enjoy I did. I really enjoyed this book. Chase has not had it easy and is haunted by his demons but has such a good core. Ariel is the perfect match for him. I loved this book and I loved seeing glimpses of the rest of the group. Can't wait for the next book!